Israel wants to teach us how to build–or at least brand–a perfect country. As Consul for Media and Public Affairs at the Consulate General of Israel in New York, and as head of Israel’s Brand Management Team in Jerusalem, Aharoni has played a leading role in Israel’s rebranding campaign, which is designed to put a prettier face on Israel in the face of increasing worldwide outrage over its occupation of Palestinian land and human rights abuses against Palestinians. But, while Israel brands itself as the “perfect country” and tries to bolster its image through campaigns to appear progressive and “advanced,” its reality continues to look very different from any progressive ideals: a long-standing military occupation of the West Bank, siege and regular massacres in Gaza, limited rights for Palestinian citizens, and millions of Palestinian refugees unable to return to their homeland. Does that sound like the perfect country? 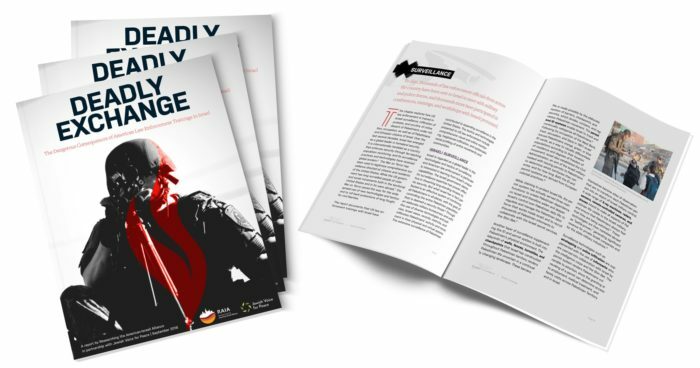 Join a coalition of local Palestinian justice groups in Austin — JVP Austin, Interfaith Community for Palestinian Rights, and the UT Palestinian Solidarity Committee — in calling for SXSW to cancel Aharoni’s appearance as part of the festival. 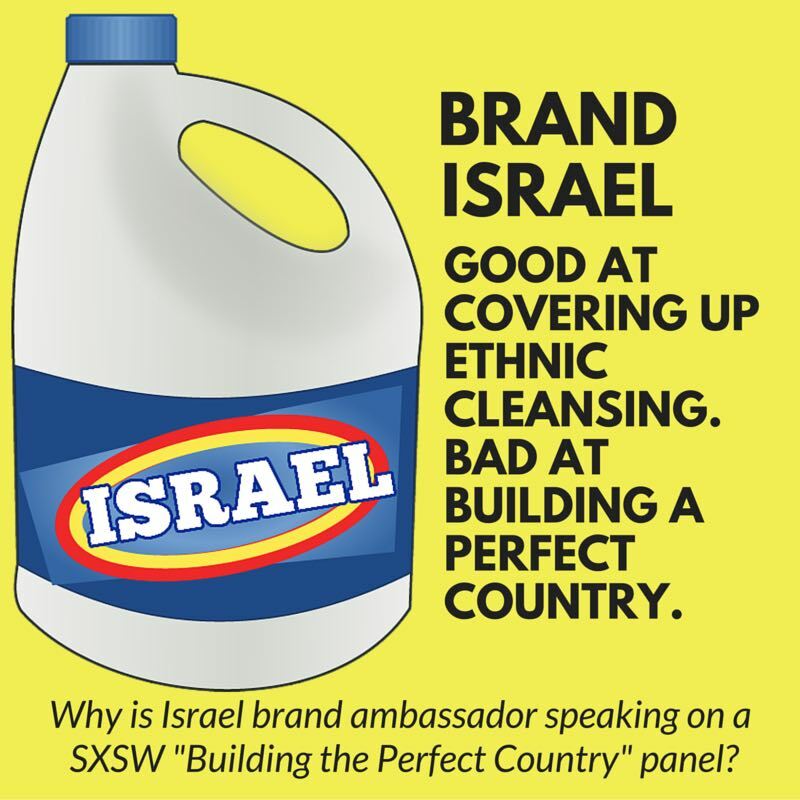 Tell Hugh Forrest, Director of SXSW Interactive: slick branding won’t cover up Israel’s human rights abuses – Brand Israel has no place at SXSW!